Warm and cool metals are beautifully combined to create a stunning piece of abstract leaf metal wall art. The central leaf veins provide visual height and the curved lines branching off the central veins add a real sense of depth to this appealing wall art. The solid black iron frame accentuates the 3-dimensional effect of the overlaid leaves and at nearly 1 metre tall, this metallic wall art can't fail to turn heads. 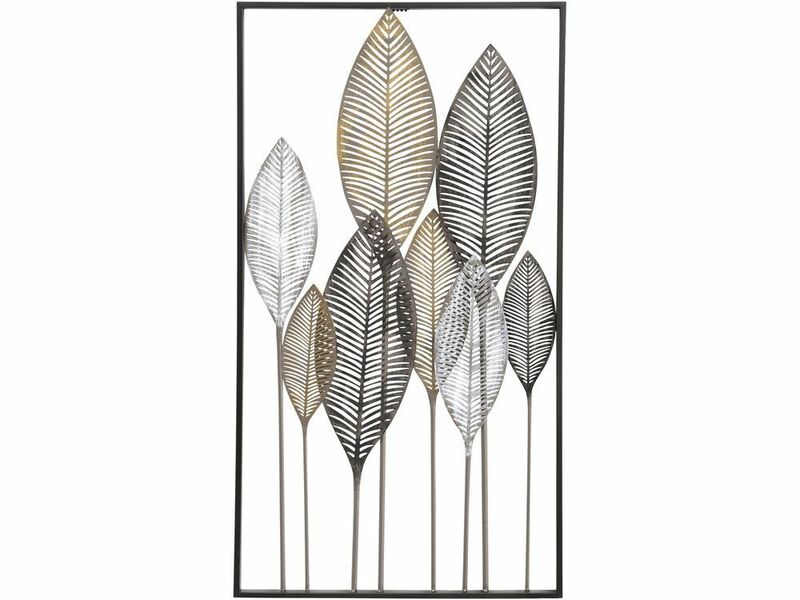 The complementing metallic finishes of black, bronze and silver on the varying lengths of the leaf stalks add interest and flair to this contemporary wall decor.